Johnny Iuzzini’s booth was mobbed all night. I thought he would win the fan prize but he was just beaten by The Doughnut Plant. 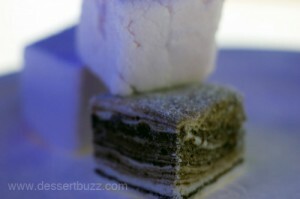 More from Johnny Iuzzini of Jean Georges on Dessertbuzz. 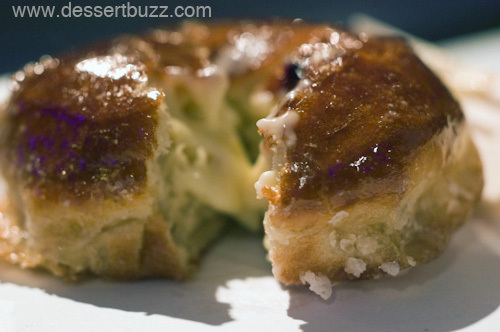 The Doughnut Plant brought a selection of doughnuts including a delicious jelly doughnut but their creme brulee doughnut, which was hand-blow-torched on the spot was the hit of the show and netted them the prize for best dessert at the 2011 Sweet event. 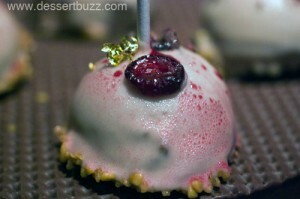 More from the Doughnut Plant on Dessertbuzz. Look for a “blow torch” video on this soon. Karen DeMasco’s desserts are always interesting and always delicious. More from Karen DeMasco of Locanda Verde on DessertBuzz. 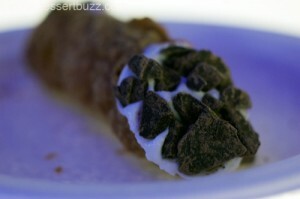 You think you have had good cannolis? Think again. These are the real deal. More from Andrea Jarosh of Donatella on DessertBuzz. More coverage of Catrine Oscarson of Mas (Farmhouse). More coverage of Michelle Park from Kyotofu. 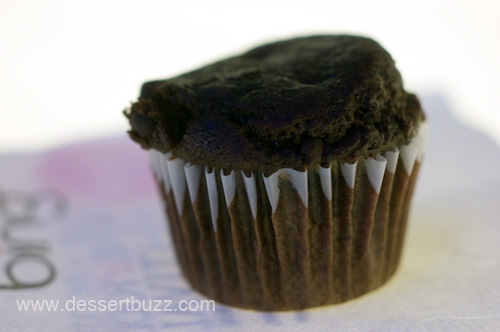 The all-vegan Baby Cakes bakery had some killer chocolate brownies. Not sure anyone would ever be able to tell that these doughnuts were vegan and gluten free. More coverage of Baby Cakes at the show coming soon. Stay tuned for tons more coverage of the Sweet event including interviews. The City Sweet Tooth » Sweet Links of the Week 10/7! 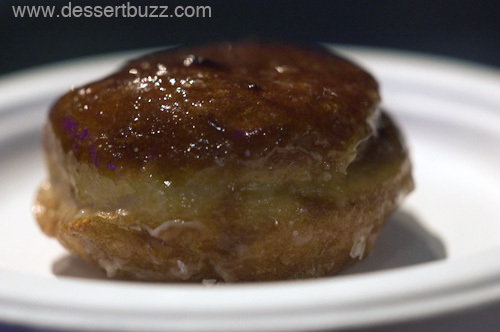 Dessertbuzz » Blog Archive » What makes doughnut Plant creme brulee doughnuts so good? it all looks quite yummy for sure! lucky u to be able to attend, maybe I will get to see it next year!! Actually, if you’re a drinker or if you REALLY like desserts it’s a great deal. 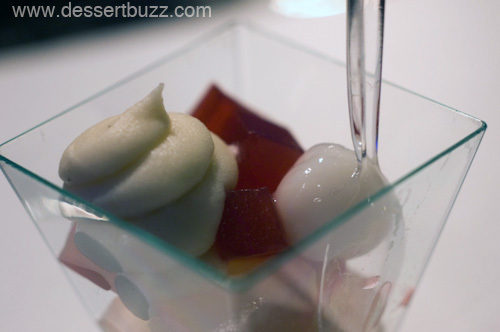 $175 for 3 hours of top shelf alcohal and wines and 20+ of the best plated desserts by the best in the business + goody bag… can’t really beat it. 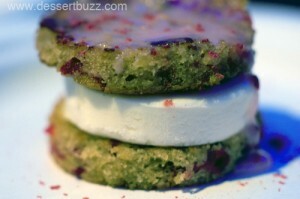 Dessertbuzz » Blog Archive » New York Food and Wine Sweet Event Flashback: Doughnut Plants wins it!